My wife and I have set up our Wedding Videography business in the North-East of Scotland for just over 2 1/2 years now. Although we still have a lot to learn, we believe we have managed to bring to our area a much more filmic approach to Wedding Films and have had the pleasure of working with wonderful couples who have been quick to recommend us to others. We also have won a recognised Wedding Industry award for Scotland which was certainly unexpected this year. Thats the credentials out the way..... I wanted to start a topic that could act as a powerful resource tool for anybody wishing to enter into Wedding Videography. A collective center of useful tips, past experiences and success stories by way of sharing inspiring films from other members. This could be useful then for someone perhaps wishing to start filming weddings, or perhaps someoe who has been given that difficult challenge of filming their friend's wedding and doesn't know where to start. Useful also to those that have been doing it for years and are looking for some inspiration and a fresh set of eyes that newcomer's bring to the table. With this in mind, I wanted to share the trials and tribulations we have encountered over the last year or so, the bad decisions with equipment we made and the ones where we got it right. Of course I add the caveat of everything I write being my own opinion and may of course not work for you. Every area in the world has accepted styles of what a Wedding Film should be, and what maybe works here doesnt necessarily work elsewhere. My focus in the business is the Techinal side, therefore I will only share my experiences and opinions with the equipment. As for the running of the business and interfacing with customers, maybe someone else will go into that. We started in the business because we saw a growing demand for Wedding Films in our area, and yet not enough people to meet that demand. In our local area exists some guys who had been doing it for many years, and were able to provide a very traditional approach to filming a wedding, but there were not a lot of companies that would cover the day with a more cinematic flare. This need combined with my wife's insatiable appetite for watching wedding videos created our business. We filmed our first wedding with a Panasonic SD-700 and a Panasonic SD-900. Fantastic camcorders for our first time. (We have changed cameras quite a few time before we ended up with GH3s.) We filmed a lot, maybe a lot more than we needed but we made sure we got everything we needed. We arrived early and left much later than we had planned for, but overall we are still delighted with our first film we put out. We used a RODE Videomic for the sound and generally this worked well. Where it was not so good, was when we used it directionally over one of the guests tables during the speeches. Had one of the children at the table sat somewhere else we might have picked up more of the Grooms' speech but the lesson learned was that always get your mics as close to your subjects as possible. Buy a Zoom H1, a little stand, and place it in front of your people on the top table. Sync later on and now you are free to focus on the shot and not worry about the sound. Want to be even more professional, get a wireless mic set up like the sennheiser G3 wireless kit. Mic your groom and feed the sound direct to the camera. Now you can monitor the sound through the camera. You will need Lights, whether you go for the fill the room with light tactic, or maybe the more subtle approach, a good light is going to give your footage the added clarity it needs. Handycams and low-light are a disaster without good light. Just search for video LED light and make sure it has at least 160 LEDs or above for a reasonable amount of light. Watch out for size though, if you want it mounted to your camera hotshoe, dont go too big. If you intend to put it on its own stand, then think about how you are going to connect it, power it and operate it. Backups, backups, backups. Always think, what if this doesnt work? Have another camera running, use one more sound recorder. Take plenty of batteries, cards and more cameras if you can afford to. Dont go small with cards, if you can afford it, save yourself a lot of hassle by buying big (64gb) and trusting a good name like Sandisk. Brandless types make me very nervous. Well, im going to leave it at that just now and see what other contributions we get. I joined this forum about a year ago and it has been my one stop shop for help, advice, information and inspiration. I hope that maybe I can pass this on in some way to someone else who was in my same position. So yeah, I can't promise it will be illegal in your country (as it might be legal like it is for me in NZ), but hey, throw caution to the wind and get yourself one anyway! I need good arguments or an elegant solution if somebody has had the same problem. and this, and there is plenty more.. It looks as they all agree that vertical video is the way of the future ( gulp ). I know it will be limited to phones only, but the sole idea makes me scared. Will we have to fight for horizontal on every commercial project? Will we all have to shoot central composition and do the phone versions of EVERY video? Are u already doing it? How do u approach this issue? Thought you'd enjoy this, which I found at the site of a wonderful photographer (she's the boxer in that early GH2 film you might have seen). HDR video is a big step in quality, with much better color and dynamic range than the current REC709 standard. And, it is possible to shoot videos with existing consumer equipment and edit them in HDR (e.g., Resolve). Moreover, YouTube recently made it possible to share HDR videos, publishing the requirements for the video, which conform to the basic HDR standards. They even provide instructions how to inject metadata to inform YouTube the video is HDR. Nice. When you upload the correctly-spec'ed video YouTube also converts it to an SDR version, so people without HDR capabilities can see the video in a reasonable way. Otherwise an HDR video in SDR will look very washed out. This is also nice. You are seeing it in SDR of course, so it looks faded - no contrast or color. If you could switch your viewer to HDR mode, the video would then look great in HDR. It looks nice and colorful on your SDR screen, but it is REC709 all the way (8bit, 4:2:0, limited color gamut, 5-6 stops of DR). Here is the bad news: so, how do you see the HDR version? If you switch your TV/monitor to HDR mode will you see the video in HDR? No. You need to have YouTube show the HDR version instead of the SDR version. But there is no way to do that - there is no option to choose the version - HDR or SDR - in the YouTube player. Does that mean you cannot see the HDR version? No. There is one way, and one way only: Buy the new $69 Google Chromecast Ultra. It will play HDR YouTube videos in HDR, on any wifi-enabled HDR TV. No other device will do that - not the Amazon stick, not any Roku, nothing. It is also possible that Google has made a deal with Samsung (license fee) so that the YouTube player on some Samsung HDR TV's will play YouTube HDR videos in HDR, but this is not confirmed. As someone on this web site might say, capitalism is so predicable - Google is not around to help us share videos, it is here to make a profit. As a media artist I received a request that is out of my usual domain. A major USA content licensing bureau contacted me about the use of a video registration of one of my artworks that they saw online. Their portfolio includes the biggest international brands. They want to use my footage in a commercial for a 'major electronics manufacturer' (which they won't disclose until terms are negotiated). They're offering royalties but I'm clueless about what are realistic rates in this business. Does anyone have insights on what a "one time license fee for up to 10 seconds. Usage will be for 2 years, All Media, Worldwide." should earn me? Vimeo On Demand will launch at the SXSW Interactive + Film Festival with a screening of It's Such a Beautiful Day, the latest work by Academy Award-nominated animator and self-distribution pioneer Don Hertzfeldt. The film will screen on Tuesday, March 12, at the Vimeo Theater at SXSW from 11:00 a.m. – 12:30 p.m., and will be followed by a Q&A with Don Hertzfeldt and Vimeo CEO Kerry Trainor. Vimeo is thrilled to offer the newly re-mastered and expanded version of It's Such a Beautiful Day, which brings together the entire tragicomic story of a troubled man named Bill, for $2 rental or $6 sale, exclusively through Vimeo On Demand. When we launched VHX, we never imagined we’d get to work with creators like Kevin Spacey, Dave Grohl, Ira Glass, and Aziz Ansari. We’ve been in private beta the last two years, helping distribute feature films, documentaries, TV shows, comedy specials, concerts, lectures and more. We’ve helped launch Camp Takota, Upstream Color, Mistaken for Strangers, the Oscar-nominated The Act of Killing, and many more. VHX now has over 300 titles available for sale, over $3M in gross transactions, and almost 500,000 customers worldwide. We are lowering our pricing. VHX is free to sign up and use, and we charge just 10% + $0.50 per transaction (down from 15-20%). 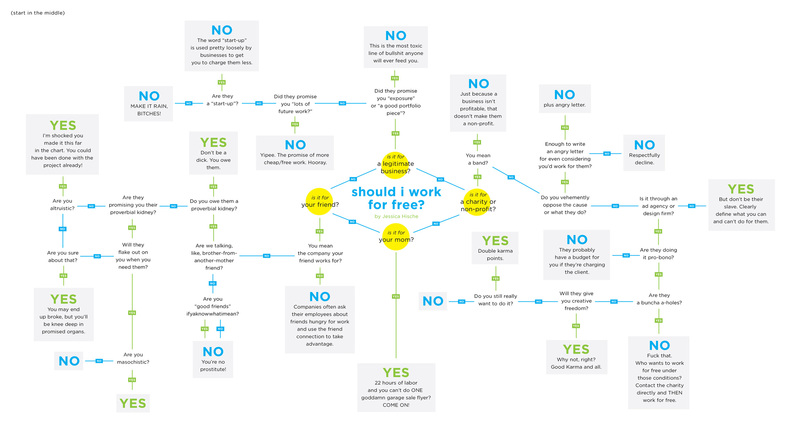 No extra charges for credit card processing or anything – that’s everything. Transparency? Transparency. If you’re an existing publisher this pricing will be effective as of March 1st. Anything that used to be sold on DVD can be sold on VHX. Our platform works for a lot more than just film and TV. Faith, fitness, lifestyle, education…the list goes on. VHX also works for organizations both big and small: individuals, distributors, studios, networks, and more. Make a site to sell your work, distribute your project, and own the relationship with your audience. 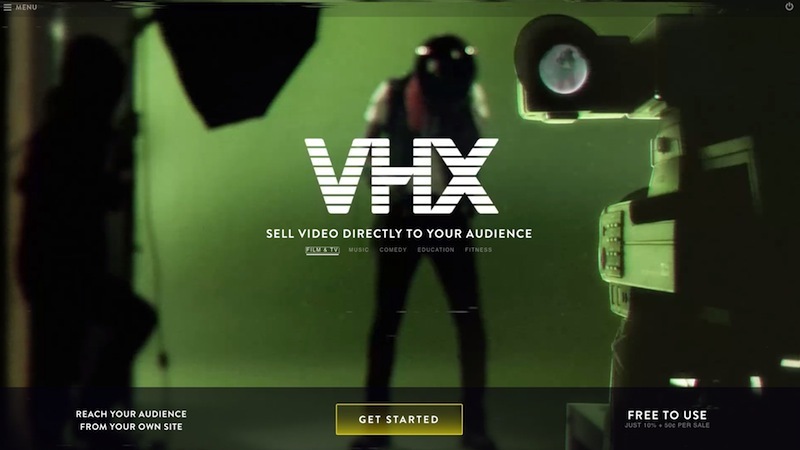 VHX is the technology platform that lets you run your own iTunes or Netflix. Your digital copies replace the old physical, anywhere in the world. I was wondering what some of you charged, or took in account when charging, in regards to your half day and full day rates. I recently began talking with a client regarding a documentary and so far I've just been asking many questions just to gauge what he wants for the project and how I should charge him. When talking rates, I understand that you should always ask a lot of questions first and never throw out a number right away, since you never really know how much work you're going to really be doing or how long the actual production will take. I’m defining luxury as something that you want or would like to have but don’t actually need. The Craigslist poster wrote, “They are ripping people off for all they have! Why when you want to get married it costs you AT LEAST 15 grand after all is said-and-done? Its such CRAP!! I love all you $ 3,000.00 photographers out there but i think your prices are WACK.” Immediately, I would like to point out that there’s a distinction between getting married and holding a wedding. Getting married is something you may need; holding a wedding is something you want. The poster is wrong when she states that getting married is expensive: relative to the price of a wedding, it’s quite affordable. For instance, if you live in Toronto and wish to marry, your total expenses would come to under $400, including the license and marriage officiant. I’m aware that the writer is from Puget Sound, but I doubt getting married in Washington is much more expensive than in Ontario. In any case, despite her choice of words, the writer was referring to holding a wedding. Weddings are expensive because having a large catered party is a luxury. When you remove the ceremony from the rest of the day’s archetypical activities, you’re left with the greater portion of that hypothetical $15,000 bill. Your costs shouldn’t rise by much even if religious obligations require the ceremony be held at your respective house of worship. The major expenses are everything that isn’t part of the official ceremony: the venue(s), liquor and multi-course meals for guests, a multi-tiered cake, flowers, decorations, entertainment, your wardrobe, makeup and hair, accommodations, and, given the nature of this article, your desire to have a wedding photographer document the entire affair and do so with exceptional artistry. Luxury brands do not justify their prices with complex breakdowns of their costs. For example, when someone walks into a Chanel store and considers buying a handbag, the salesperson isn’t going to relay the cost of materials, labour, freight, lease, marketing, etc., to justify the price. What they’ll do is sell the brand and its story, its exclusivity and the status it imbues, the timeless design, impeccable craftsmanship, customer service, and its ability to retain value longer than other less exclusive brands. All things considered, it would still be a frivolous purchase—because no one needs a Chanel anything, even among people who need a handbag—and most buyers of luxury goods know this. Unfortunately, when planning a wedding, some people, such as the Craigslist poster, never come to this understanding. Consider the longevity of these expensive services. The alcohol, food, and cake get flushed down the drain (quite literally). The venue and accommodations will serve as faint backdrops to your memories. The flowers will wilt and decorations, tossed away. The entertainment will be a ringing in your ears the following morning. Your makeup will be washed away and the hair slept on. Your wedding dress will remain, but there will never again be a practical occasion to wear it (so donate your dress). Of all these unnecessary, impractical, and conspicuous expenses, the photo and video documents hold the most utility. Their value increases with time, having an inverse relationship to your recollection of the day. When wedding photographers choose to acknowledge the question with detailed cost breakdowns, they put themselves and the profession as a whole at a disadvantage. Defending your rates in such a manner is an implicit acknowledgement that they are indeed unreasonably high and, worse, that your abilities don’t speak for themselves. Wedding photography is a luxury service and there is absolutely no imperative for you to provide customers with an audit. Such an analysis may also put you at a disadvantage with customers who question your margins (since those who do only care about the bottom line anyway) and your perfectly legitimate reasons can be misinterpreted as excuses. I have a hi-def project that I'd like to sell through online distribution channels. When I research things like Amazon Createspace and Vimeo, I keep coming across drawbacks: Vimeo'd require buying a pro membership at $200 a year, which I can't afford at this time. Createspace limits me to DVD resolution, and some reports have it that it doesn't get a lot of traffic anyway. Amazon On Demand would be marvelous, but I can't find how to make the product available that way. Another site, Kinonation, looks interesting, but I don't know how well it can market the video. Does anyone have any insight into the best system to market my video?